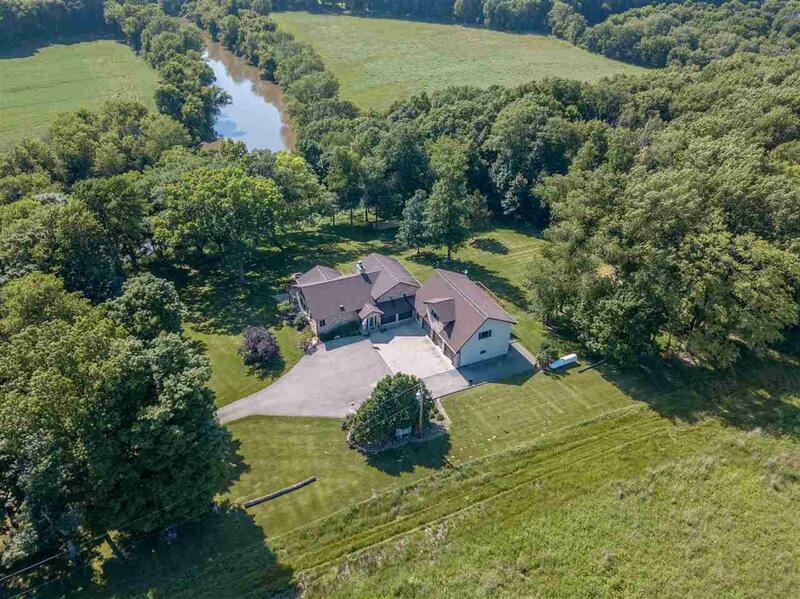 RIVERS EDGE- Private, Gated, 8+ Acre, Riverfront Home! 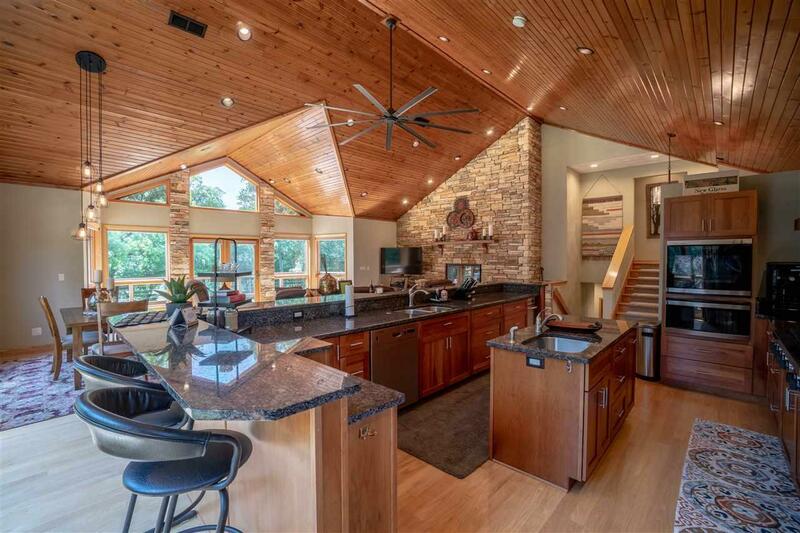 This stunning property was custom designed and has been meticulously cared for. A 5 bedroom/3.5 tri level home includes a true chefs kitchen with cherry cabinetry, granite counter tops, stainless appliances & commercial Viking gas stove. The attention to detail in this professionally decorated home is unmatched; and the outdoor space is truly a sanctuary with 3 separate patio areas, professional landscaping & river views. Master Bathroom was recently remodeled with a gorgeous tile shower and separate vanities. So many amenities including: 4 fireplaces, 9 ft ceilings in the lower level, walk out lower level, 4 season room, heated concrete driveway & heated garage. There is an additional living quarters above the garage with separate bedroom, kitchen, bath & living space. Currently used as an AirBnB, the opportunities with this property are endless! 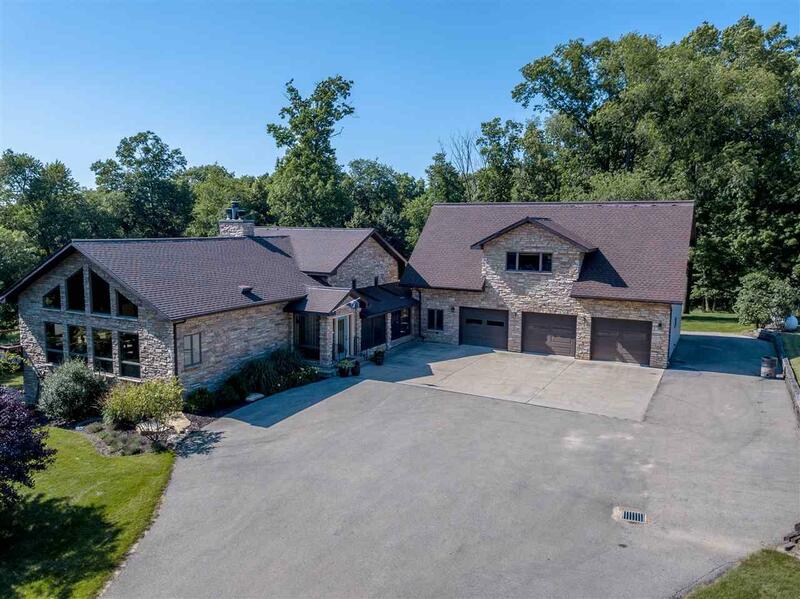 Nestled high along the Pecatonica River this home will not disappoint! 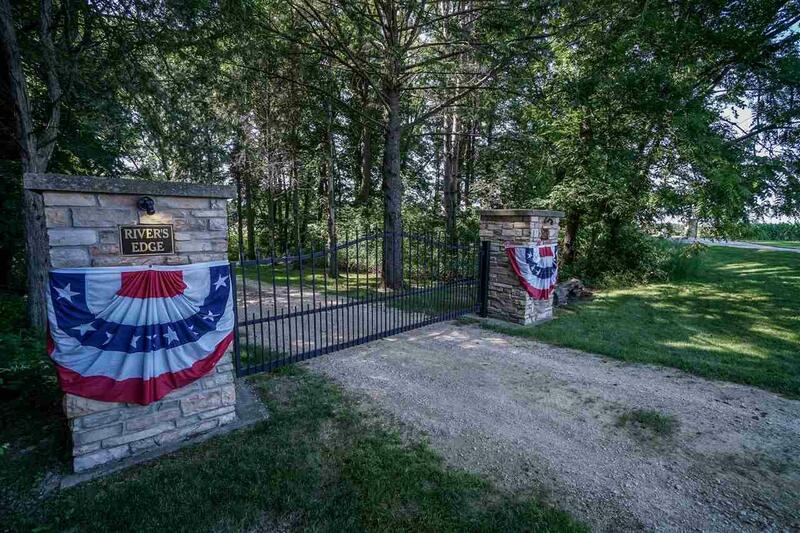 Listing courtesy of Re/Max Of Rock Valley.